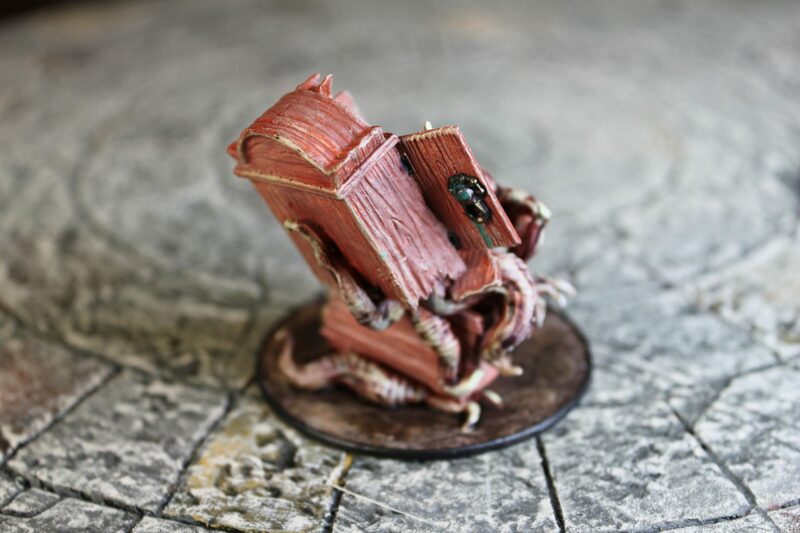 Sometimes a mini comes along that is somewhere between insane and awesome. 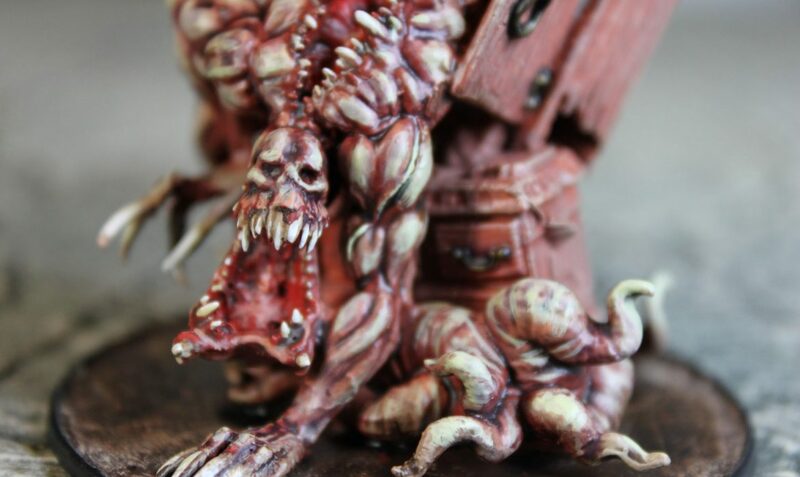 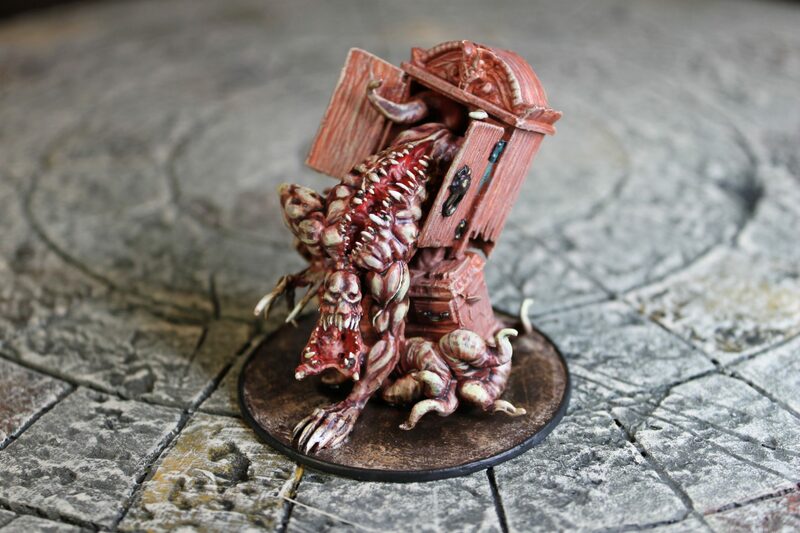 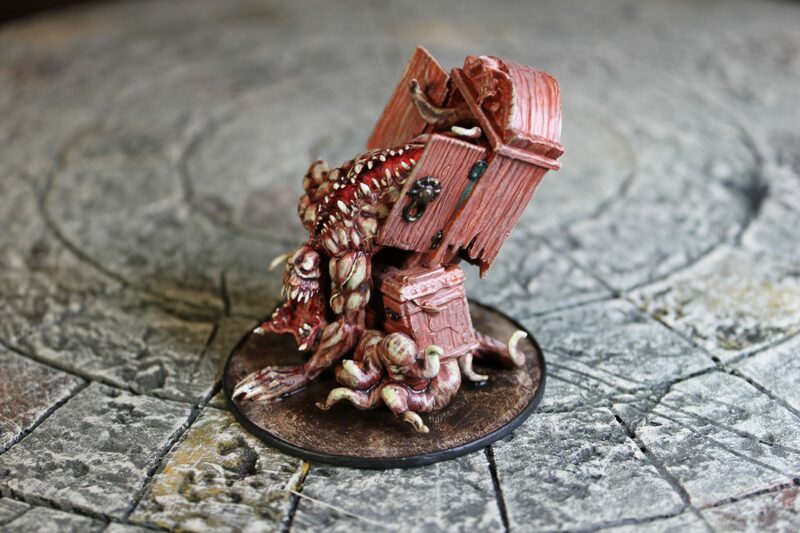 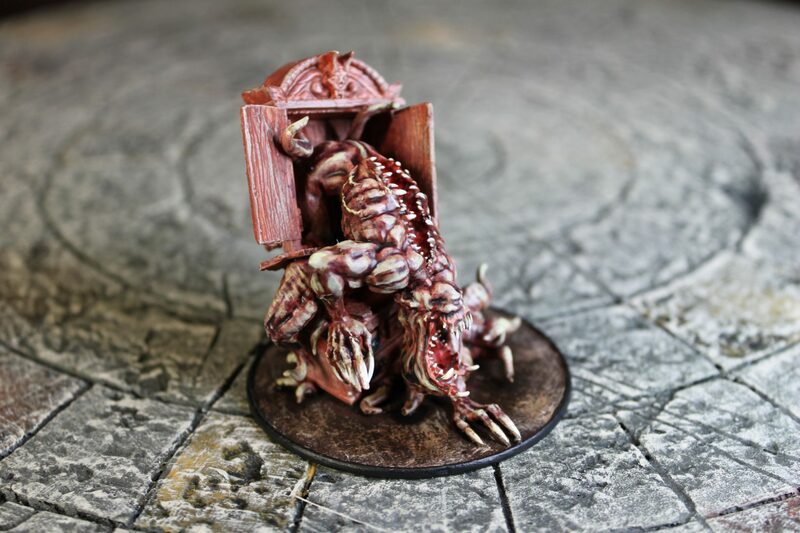 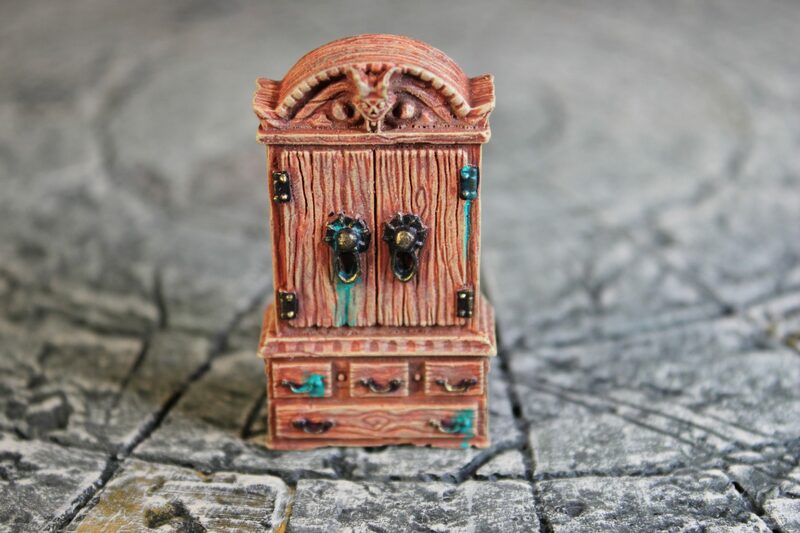 The Cupboard Mimic from Zealot Miniatures definitely falls into this category and I am currently trying to create some D&D stats for this… Well actually I don’t see this as a mimic. 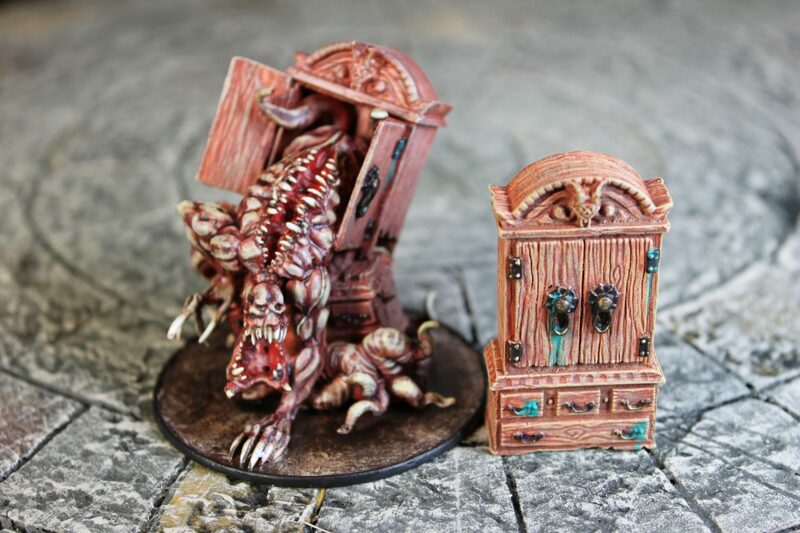 It seems way to aggressive and dynamic and I think it is more like a possessed cupboard. 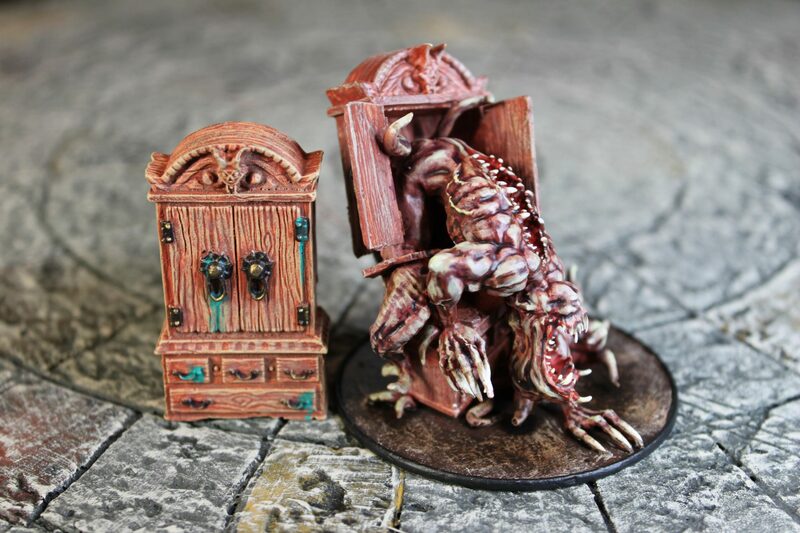 A closet demon maybe. 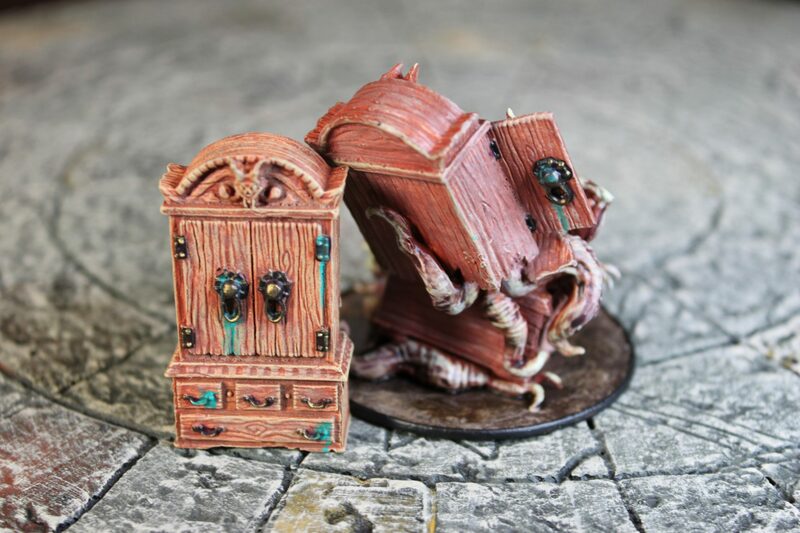 I actually bought the cupboard itself a while back, so eventhough I tried to colour match them, they are actually a bit off but I’m quite happy with both minis so will leave them as is. 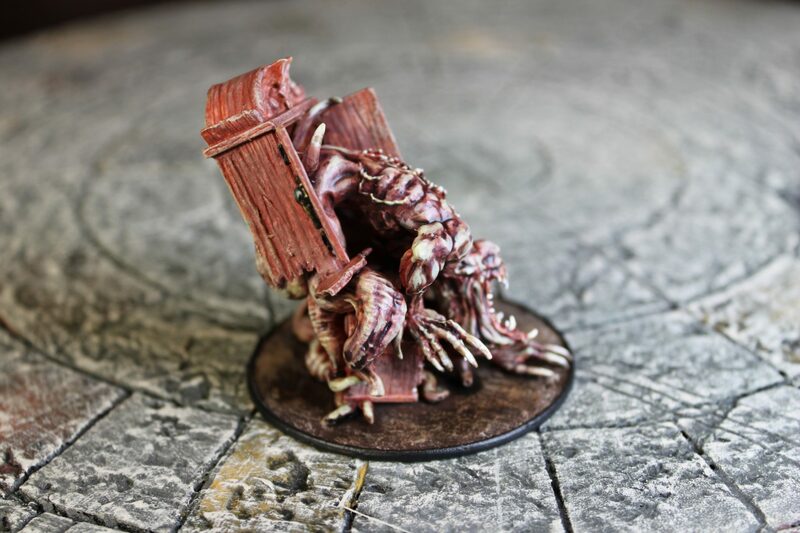 Dungeons & Dragons MEGA POST – My 2018 terrain boards and scatter!